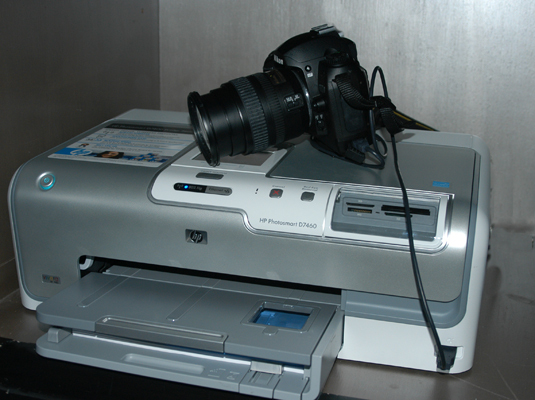 Many printers can print directly from the camera itself. In years past, this option worked only if the printer and camera were from the same manufacturer. But now, you can hook up any camera that offers PictBridge connectivity to any PictBridge-enabled printer. You can connect your digital camera directly to a PictBridge-enabled printer. Look for DPOF. DPOF (say it dee-poff) stands for digital print order format. DPOF enables you to select the images you want to print through your camera’s user interface. The camera records your instructions and passes them on to the printer. Of course, direct printing takes away your chance to edit your pictures; you may be able to use camera or printer settings to make minor changes, but that’s all. Direct printing is great on occasions where print immediacy is more important than image perfection, however.